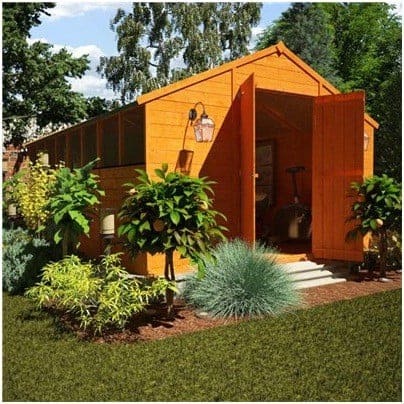 Wow – what a fantastic example of a garden shed! 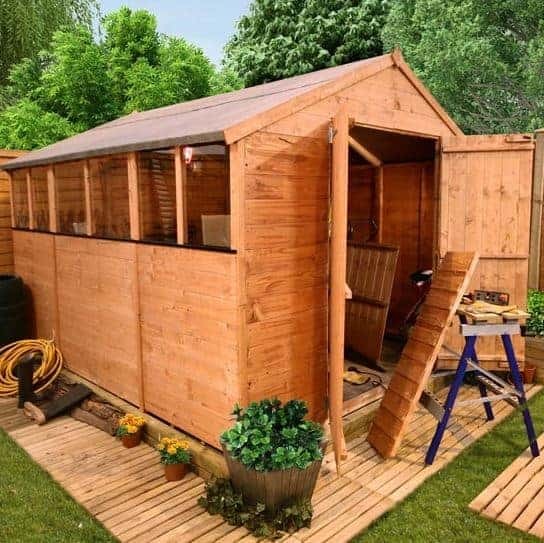 This great looking shed combines a huge floor area of 16x10ft with its stylish and protective tongue and groove exterior. 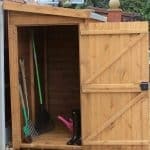 A great space for storage of all your garden and outdoor equipment or for pottering around with your latest gardening projects. Make a bold statement in your garden with the exceptionally priced BillyOh Lincoln Workshop – a superb example of a premium garden shed. This is constructed from hard wearing and long lasting wood with tongue & groove for extra strength and durability, built to last. With an extra-large door, the user can transport garden equipment to and from with ease and there is ample storage space inside. 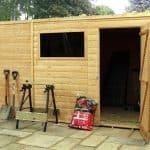 Not only great for storage, this is in essence the perfect garden workshop where you can spend hours (hopefully undisturbed!) pottering around, tinkering with your lawnmower or enjoying a well-earned break with your favourite gardening magazine. 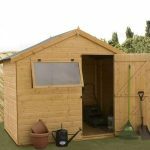 This shed has additional attractive features with lighting either side of the door and plenty of windows for light and air – be the envy of all your gardening friends! With a super spacious 16x10ft there’s not much that you can’t fit into this space. So go on, gain some valuable extra living space today! 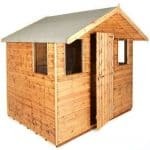 The Billyoh Tongue and Groove Apex Shed is a premium garden shed with many features. Below the team at whatshed.co.uk identify and discuss these features and what makes this particular model stand out from the rest. Exterior: This shed is constructed from thick cladded timber that makes the shed long lasting, durable and weather resistant. The attractive 11mm tongue and groove interlocking boards are thicker and harder wearing than the usual tongue and groove design meaning your shed will have the maximum useful life possible. Interior: The 16x10ft floor area of the interior offers a superb space and unlimited possibilities for storage or to alternatively use as a garden workshop. By adding shelving, hooks and freestanding storage you can increase your storage space even further, and creating a neat and organised area to make your outdoor and garden equipment big and small, easy to find. 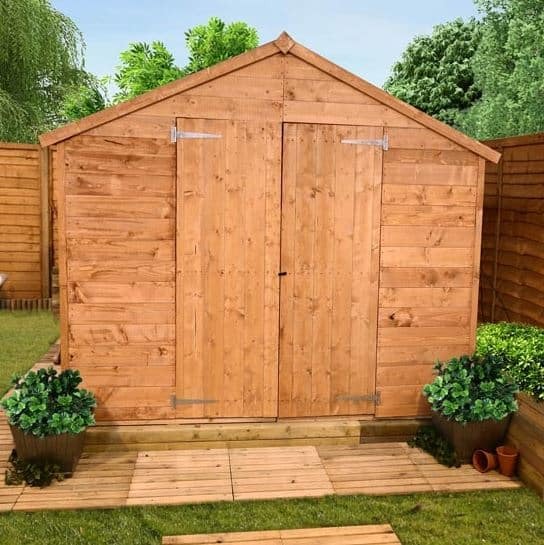 With a 7ft4 height and apex roof, this shed boasts extra headroom, great for taller individuals or of course extra storage. Windows: With a huge amount of windows, eight to be exact, this shed allows a lot of natural light to fill the interior, allowing you to see everything you need to – no torch required! The flexibility of the Billyoh 4000 Tongue and Groove Apex Shed means that windows and panels can be arranged just how you want them, meaning all of your windows can be arranged just on one side or on multiple sides – it’s completely up to you! Doors: The double doors, although not as wide as the doors seen on other models of sheds, provide easy access to the interior and all the items it holds. Security: No security fittings are included in your package however it would be easy enough to add a padlock or similar security device to the double doors to keep the interior contents safe when not in use. The Billyoh 4000 Tongue & Groove Apex Shed: How easy to build? Billyoh make life as easy as possible for their customers when it comes to assembly. When you package is delivered directly to your door it will contain everything you need to build your new shed. With panels, glazing, roof material, fixtures, nails and screws all included, all that you will need to provide is a basic tool kit for assembly. The timber panels are now in easy-to-handle sizes meaning that this shed could be possibly built by an individual. However, for the sake of time and for stress-free assembly it is recommended that two people work together to build this shed. The Billyoh 4000 Tongue & Groove Apex Shed: What is the overall quality like? Billyoh are a British company specialising in designing practical and well-designed garden buildings to meet the needs of the user. They have designed the Tongue and Groove Apex Shed with sturdier features and increased weather resistance to make their sheds perform better than ever before. With 11mm tongue and groove cladding combined with doubled-up framing provides this shed with a strong and durable exterior that is weather proofed, protecting your items all year round. With interchangeable panels and multiple variations of layouts, you are able to design and assemble this shed to suit your particular requirements. Easy to maintain, it is recommended that you apply a preservative to your shed upon assembly in order to increase its longevity. 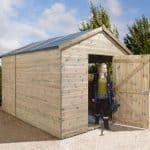 Standing at a spacious 16x10ft, the Billyoh 4000 Tongue and Groove Apex Shed offers so much potential for the gardening enthusiast. 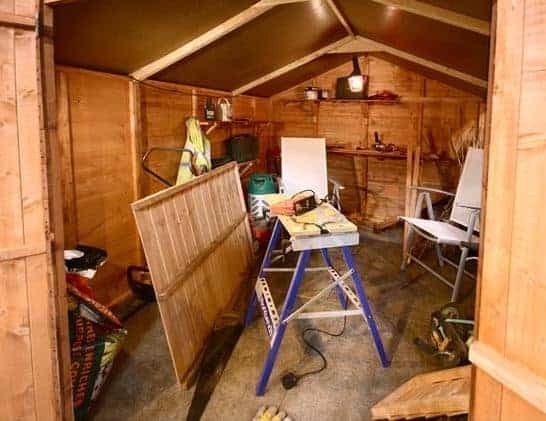 Alternatively use as a storage space for all of your outdoor and garden equipment, from lawnmowers to garden furniture, this superb shed will hold it all. The price for this shed is at the higher end of the price range for wooden sheds, however the fantastic amount of space and hardwearing tongue and groove wood sure do justify the price.